Is it possible to starve Cancer? Cancer is the second greatest cause of death globally and is responsible for an estimated 9.6 million deaths in 2018. Cancer is caused by the uncontrolled growth of cells, which infiltrate neighbouring organs or other parts of the body and then cause damage. Many approaches have been attempted over the past few centuries to kill cancer cells, however, none have worked effectively. Within the past few decades, a new and promising avenue has emerged with researchers targeting the molecules which fuel cancer cells. 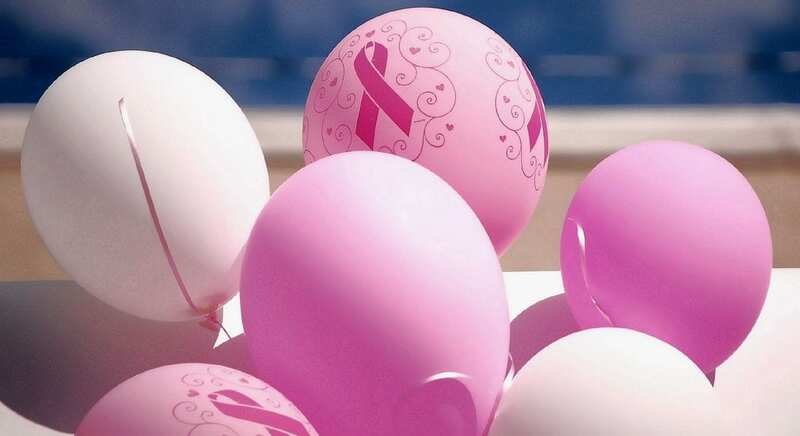 The pink ribbon is a symbol of breast cancer awareness. Image by ~Pawsitive~Candie_N available on Flickr. All living organisms require energy in order to survive and have various means to generate it. In 1961, German scientist Otto Warburg observed that cancer cells utilise energy in a different way than normal, healthy cells. Associate Professor Sophia Lunt, a well-known cancer researcher, has a great method to explain this difference, using an analogy of sweets and candies. “Healthy cells will consume a single piece of candy and be satisfied. However, cancer cells are hungry for candy and will not stop after just one. In this way, cancer cells are hungry for sugars, specifically, a molecule called glucose, which is the building block for sugars.” – Assoc. Prof. Sophia Lunt. Cancer cells are so hungry for sugar, that they even have an ability to prevent normal, healthy cells from taking up glucose efficiently, therefore leaving more available to themselves. So what happens when you remove sugar? Following the discovery of the phenomenon above, scientists began asking whether it is possible to starve cancer of glucose? This has led to experiments targeting sugars and the idea of eliminating sugars from your diet to target cancer cells. Scientists have successfully demonstrated that starving cancer cells of glucose in lab experiments leads to cancer cells dying. However, applying this to cancer patients is proving difficult because healthy cells within the body also require sugar, and so by removing it you are starving healthy cells as well! In addition, cancer cells have various other methods of obtaining glucose when sugar isn’t available. For example, they can convert proteins and fats into glucose. 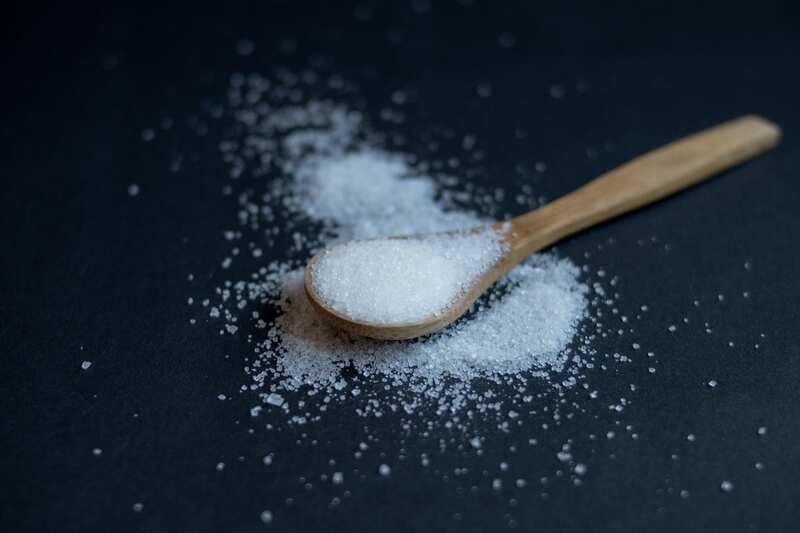 “Stopping sugar getting to cancer cells would also mean that your body’s healthy cells get starved of necessary sugars,” says the CEO of Cancer Council Australia, Professor Sanchia Aranda. 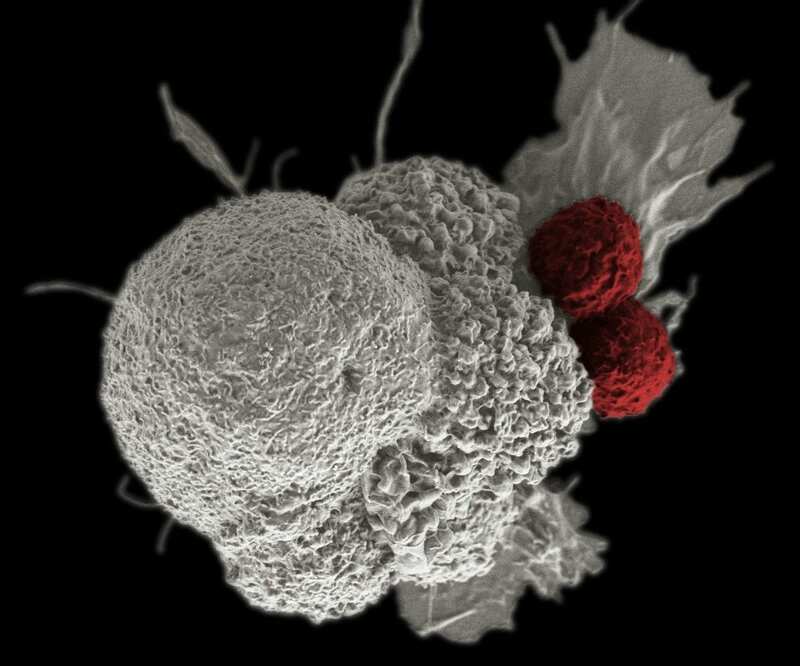 Cancer cells are white and normal, healthy cells red. Image by NIH Image Gallery available on Flickr. However, overall, the message is clear and simple – sugar is essential for cancer cells. And more sugar will only support the demands of cancer cells encouraging them to grow. This is seen in people that consume excessive or high amounts of sugar, as they are more likely to be obese or overweight, which is associated with a greater risk of developing cancer. This discovery has led to scientists focusing on methods which may selectively prevent glucose consumption in only cancer cells. Slowly but surely, the fight to cure cancer continues. Next Next post: Would you eat crickets while traveling to Mars? Thanks Jonathan. Appreciate your comment. What an interesting post John! I’m excited to see what comes of this – it seems like a promising avenue if targeted methods are developed.